Vaikunda Ekadasi is the 11th Waxing Moon that falls in the Tamil month of Margazhi. Vaikundam is the sacred abode of Lord Maha Vishnu. The Vaishnava traditions hail Vaikundam as the ultimate place to enter and rest. This day is the day to open the gates to cross over into salvation. There are 24 Ekadasi or 11th Moons in a year and Vaikunda Eakadasi is the most powerful and looked forward to the most as many seek spiritual redemption, or rescue from the current confusion and suffering; a place of peace. It is believed that if one observes Vaikunda Ekadasi then the gates to heaven are kept open for when that person's soul leaves the physical body. The soul ends its cycle of death and rebirth by attaining the ultimate salvation, free from this mortal coil. As it occurs in Margazhi, the month of 'Twilight in Heaven' it is seen as the time the gods rest and when we pray earnestly and sincerely, it has more effect on this day as the spiritual energy will come to us more directly. This Margazhi month is a divine and highly spiritual month when the mind and soul can turn to god within. Vaikunda ekadasi is the day of cosmic significance that of the earth coming in line with the galactic centre, Sagittarius (Dhanusu rasi) and the cosmic centre. In other words, on this day, the earth will be at the outer most point from the centre of our galaxy and the nearest point to the outer space from where we, the entire systen of ours evolved and is moving outward. Staunch Vaishnava devotees who observe Vaikunda Ekadasi fasting do not sleep. 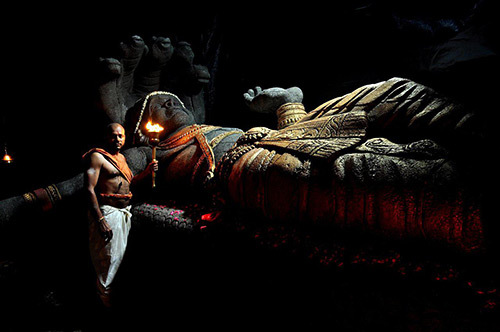 They spend the whole night at Vishnu temples or by singing prayers or listening stories dedicated to Lord Vishnu. Though there are 24 Ekadashis in a year, observing fast on Vaikunda Ekadasi day offers equal benefits of observing all the other 23 Ekadashis during the year. Devotees observe a complete fast on the day, awake during the whole night and offer prayers such as Vishnu Ashtotharam and Vishnu Sahasranamam Stotra of Lord Vishnu. However, if it is not possible to fast completely, one can consume fruits and milk. Food made from rice is to be avoided during the day. The fast is to be broken on the following day. It is believed that even a partial or total abstinence from food on Ekadasi is rewarded with bliss. You can also opt for a partial fast by avoiding food made of rice. There is no need to observe total fast, just be hungry and alert. The spiritual energy at this time comes directly. Be alert. According to scientific research, it is known that the air pressure on the earth varies to extreme limits on both the new moon (Amavasai) and the full moon (Pournami) day. This is because of the orbital path combination of the sun, moon and earth. This can be observed by the change in the nature of the tidal waves on the new moon and full moon days. The waves are very high and rough, but from the next day onwards, the waves become calm, an indication that the pressure has also receded. 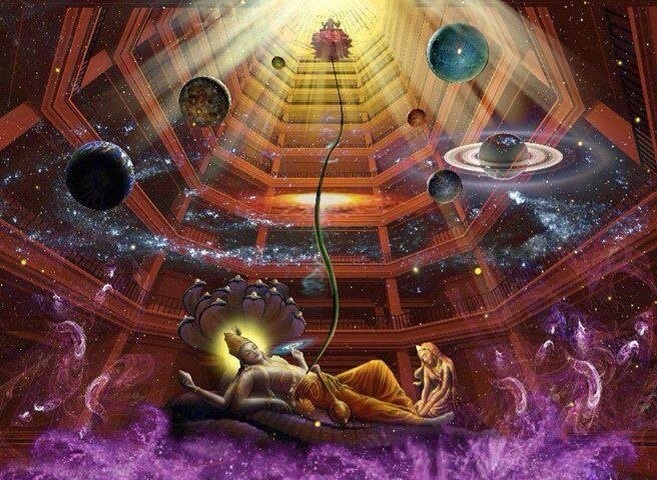 No Sleep : Staunch Vaishnava devotees who observe Vaikunda Ekadasi fasting do not sleep. They send the whole night at Vishnu temple or by singing, prayers or listening stories dedicated to Lord Vishnu. Note : One should avoid consuming rice, grains, beans, cereals, certain vegetables and sices on the day. Foods allowed when artial fasting on Ekadasi includes fruits, milk, nuts and root vegetables. 1) According to science, it takes about 3-4 days for the food that we eat today to reach our brain (for the brain to understand the food intake). Now, if we eat light/fast on 11th tithi days, that intake will reach the brain correspondingly on the New moon/full moon day. 2) Another explanation for 11th thiti fasting is that compared to any other day of the moon cycle, atmospheric pressure is lowest on 11th tithi days. Thus, this is the best time to fast and cleanse the bowel system. If we fast on any other day (except on Tuesday, Friday & Shasthi Tithi days), the high pressure/strain may damage our system. In the three worlds, there is no kind of fasting which is even comparable to the Ekadasi fast. Even if one performs this fast without a proper attitude, he achieves the Supreme Abode. Anyone who fasts on Ekadasi day, with full devotion, what happens to him by the mercy of the Supreme Lord, I can not say (how much merit gets cannot be described). Our departed forefathers / ancestors cannot come to this world whenever they think, except on Amavasai ( New Moon ), the starting day of every month and during Malaya Paksha. So they all come in sookshma (means not visible to naked eyes) dehas and if we offer them the sesame (gingili) and water they accept that, and bless us directly. Only once in a year a great celebration takes place in the Pitra loka (ancestral world) and only for 2 weeks. It is called the “Mahalaya Amavasai/ Fortnight”. 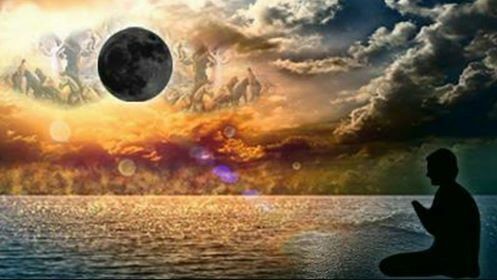 This year it commences on the 17th of September 2016, right after the full moon day and ends on the Mahalaya New Moon day, which is on the 30th of September 2016. This two week’s period is the most important period to appreciate your departed ancestors. The Siddhas says, important rites for the ancestors should be performed through out the year. These should occur on the anniversary of the day of death, during new moon (Amavasai), period of mahalaya paksha and other special days for tarpanam ritual (96 days). Mahalaya paksha is considered the most auspicious time for ancestors ritual. Our ancient Siddhas understood that honoring ancestors through tarpanam ritual keeps us living with good health, wealth, prosperity and enlightenment. Offerings made during mahalaya paksha are said to reach the ancestors directly due to a special boon granted to humanity by Lord Yama, the cosmic purveyor of death. The origin of mahalaya paksha can traced back to the story of Karna, the renowned hero of the Mahabharata who, when he ascended to the celestial world after death, was rewarded with gold and silver for his many charitable deeds performed on earth, but was not offered food. Much to his embarassment, he was made to understand that, while on Earth, he had not performed any offerings of food to anyone. Dismayed by this revelation, he prayed to Lord Yama that he might return to Earth to recompense for this neglect. Lord Yama did indeed allow him to return to Earth, but only for fourteen days. 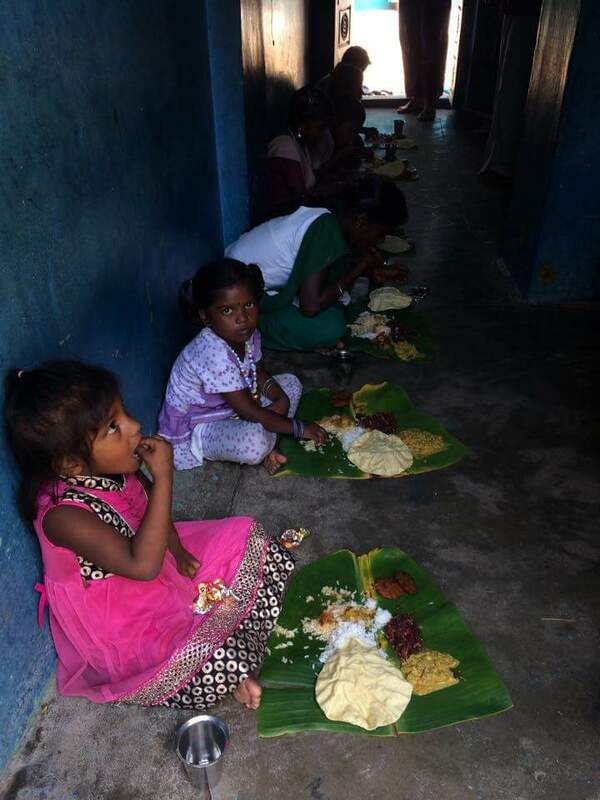 During that short period, which has come to be known as mahalaya paksha, Karna nourished the brahmins and the poor with a great abundance of food. As a result of this penance, Lord Yama granted certain boons to all humanity. By Yama's decree, all souls who encountered a premature or unnatural death would benefit from all mahalaya paksha rites. To attain incredible blessings you can perform Tarpanam (offerings) in Sivan temples or at home by yourself during any of these fourteen days, depending on the area that you perceive is the weakest for you. For instance, if your finances are not in good shape, then performing Tarpan on the first day of the Mahalaya Fortnight will bring you special blessings. For the best results, you could perform Tarpanam on all the 14 days, to ensure that you get a facelift to all the aspects of your life! You can also throughout the 14 days of the Mahalaya Paksha, give food, clothes, shoes, sandals and to the poor and the disadvantaged. Fasting during the new moon day also will alert your consciousness to be in communion with their spirits. The Maha Ancestral ritual spans for 15 days starting from the 1st Moon day till the New Moon day, and each day is ruled by a particular Thithi/ Moon Phase. 15th New Moon day - If you miss any of the above days, New Moon day is the only solution and mandatory too. Get benefitted by performing Tarpan for those who died due to weapons or accidents! We pray to the known and unknown souls that have departed during the last 30 years are treated equal to God! Tharpanam is done only for departed beings, that is, those who have passed on. Tharpanam is not done for those who are alive. If you don't know the name of an ancestor, that is fine. Just state the relationship alone and offer tharpanam for that ancestor. PLEASE READ THESE POINTS CAREFULLY BEFORE DOING THE PITHRU THARPANAM. is not done for those who are alive. 8. The Pitra Tharpanams could be done in the comfort of your house. It is very wonderful to do in the designated temples or on the banks of sacred rivers. It gives very good results, if it is done atPithru Moksha temples or sacred spots. Puratassi is one of the month like Aadi, while Aadi month is for Amman and Puratassi month is for Vishnu. It starts in mid September and ends in mid October. Purattasi masam 2017 starts on Sunday, September 17 and ends on October 16 as per traditional Tamil calendar. Purattasi Sani, Saturdays in Puratassi month, are most auspicious days during which Puratassi Sani fasting is observed. Every year during Puratassi month our Earth plane will be closer and exposed to Lord Vishnu's cosmic vibration since our Sun will be in Kanni / Virgo house during this period ( Vishnu is the Lord of the House Kanni in astrology ). If you want to access to these energies then you need to tune your frequency to match His vibration. How to tune in to His vibration ? You just need to close your eyes and put your right palm on your heart and recite Hmmm/Om Namo Narayanaya Namaha for 18 / 36 / 54 / 108 times after cold bath before Sun rise and by observing normal / vege fasting especially on Saturdays. Fasting will enable to open your energy passages on your body so that the energies that bombarding on Earth plane can enter our body and energize us both spiritually and physically. Mantras can create frequency and frequency will create wave length to connect celestial planes. You may also can planting thulasi plants around your house as many as you can and create a relationship with this plant by touching and watering them every day. Thulasi plants is like an antenna directly connecting to Lord Vishnu's world. By accessing to His energy during Puratassi month one can be healthy, weathy and enjoy all worldly pleasures in life. 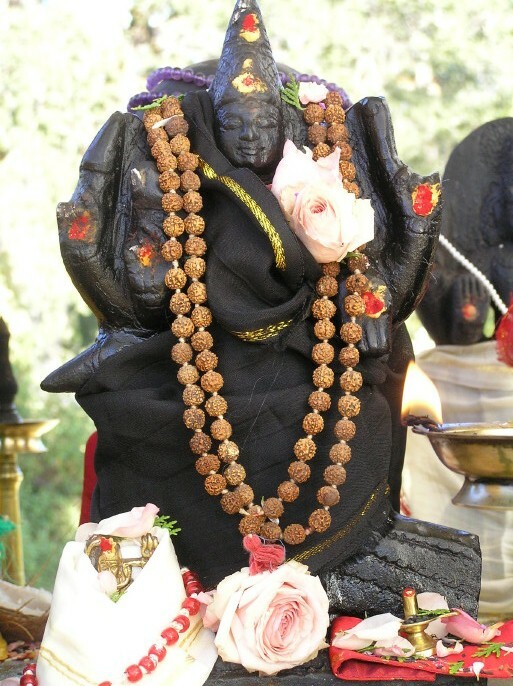 Puratassi vratham is observed by Devotees of Lord Vishnu. Some people observe partial fasting on all days in Puratassi others limit it to Puratassi Saturdays. A few observe strict fast on Saturdays which involves not even drinking a drop of water is called Nirjala Vratham. Some devotees only eat vegetarian food during the entire month. The fifteen days after the Full Moon (Krishna Paksha) in the lunar month Purattasi (Mid September - Mid Oktober) is known as Mahalaya Paksha. All our departed ancestors come and stay on the earth plane for 15 days in a year and annual rites for the deceased is performed during these days, either on the Tithi (day corresponding to the death) of the parents or on the Mahalaya Amavasai day (New Moon Day),. This practice is prevalent among all Hindus, all over the world. 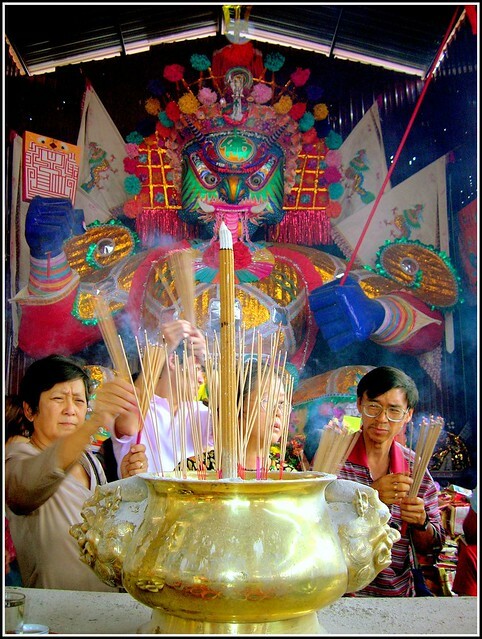 It is generally believed that performing rituals for departed ancestors during this period, can even subtitute the annual ritual performance, on exact death day. During this forthnight, no auspicious function should be performed, since pitrus are invoked during this time. Ammavasai / New Moon - If you miss any of the above days, New Moon is mandatory. Even great Siddhas like Agastiyar, Maha Rishis like Vasisthar, Avatars like Krishna and Rama, when they lived on the earth plane appreciated their ancestors through rituals called Tarpanam.